Remodeling Contractors, Asheville, NC | Off Duty Fireman Construction Inc.
'); // });Remodeling Contractors, Asheville, NC | Off Duty Fireman Construction Inc.
Our remodeling contractors are known for their quality workmanship and commitment to customer service in Asheville. Whether you’ve worked with your fair share of remodeling contractors in the past or you’ve never worked with a contractor before, you know one thing: you want your remodeling contractors to be reliable, punctual, and professional. This is where our team at Off Duty Fireman Construction Inc. comes in. 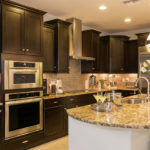 As part of the Asheville, North Carolina area’s preferred remodeling company, our remodeling contractors are known for their quality workmanship and commitment to customer service. We’re all about quality instead of quantity. While we’ll make sure your project is finished on time, we’ll also pay careful attention to every detail. All aspects of your project will be handled by our remodeling contractors for your peace of mind. All of the contractors you work with are on our team and our team alone. We don’t work with subcontractors, which enables us to better guarantee a quality project. During the remodeling process, we will be highly respectful of your home. This means we’ll show up when we say we will, finish things up at a reasonable hour, and always leave things clean and tidy. For all of these reasons and much more, you can’t go wrong partnering with our remodeling contractors for your next project. For more information about our services or to receive an estimate on your next project, contact us at Off Duty Fireman Construction Inc. today. At Off Duty Fireman Construction Inc., our remodeling contractors proudly serve Asheville, Waynesville, Hendersonville, Black Mountain, Arden, Maggie Valley, Charlotte, Lenoir, Hendersonville, and Winston-Salem, North Carolina.